As summer temperatures soar, so does the flight of the butterflies and hummingbirds. In this article, read about great plants to welcome hummingbirds and butterflies to your garden this summer. As summer temperatures soar, so does the flight of the butterflies and hummingbirds. Welcoming wildlife into your garden is sure to give you hot fun in the summertime! Sit a spell and watch the wildlife world go by. After all, we are on summer-time; so it’s time to kick back on the back deck or front porch and sip some tea with the butterflies and hummingbirds. Together you can listen to the birds sing, watch the chipmunks play, or just feel free to nod off to the melodic sound of a serenading frog. Creating a wildlife habitat in your own backyard is simple to do and richly rewarding. Your wildlife garden can be a container garden, window box, a corner carved out in a traditional landscape, or an entire suburban lot. Engaging children in this activity also helps create the next generation of gardeners and naturalists. Providing food, water, cover, and places to raise their young is all that is needed to create a wildlife habitat. A walk through your property will reveal what you have already. You may be surprised how little more you need. To attract wildlife, provide the kinds of food wildlife need – either naturally or with supplements. The more variety of food sources that you provide, the greater variety of wildlife you’ll attract. Various seeds, nuts, berries, fruits, nectar, sap, and pollen are all good food sources. 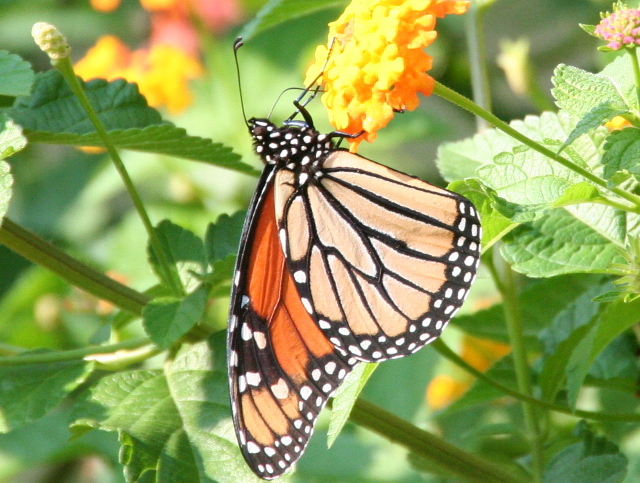 To attract butterflies in my home garden, Helen's Haven, I grow a variety of nectar rich annuals and perennials to ensure a continuous food source for the adult butterfly. 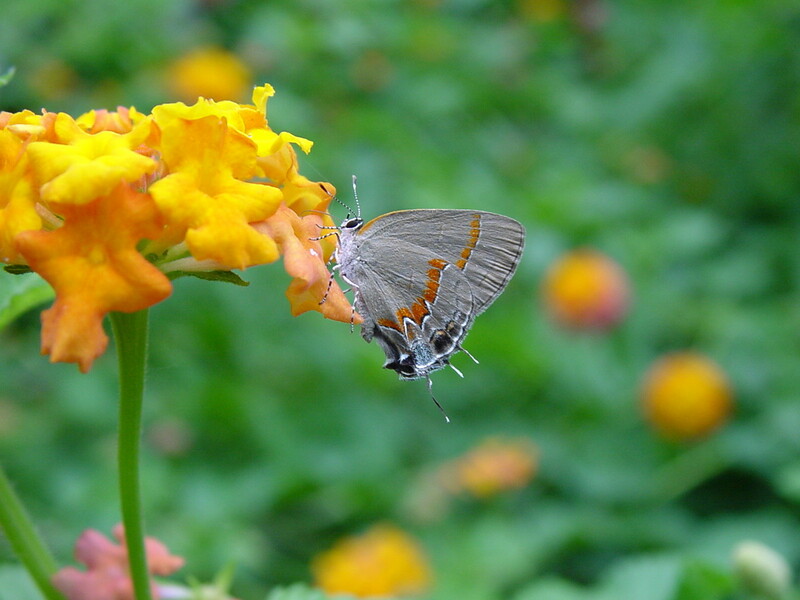 Butterflies look for umbrella-shaped flowers or flat surfaces to serve as a landing pad for easy sipping. The classic example is Lantana. This summer, the dance card of Luscious® Lemonade remains full as the butterflies flock for nectar. Orange is a particular favorite of mine, so I have my heart set on adding Luscious® Citrus Blend™ and of course, you can never have too much purple, so when Luscious® Grape calls my name, I will listen. 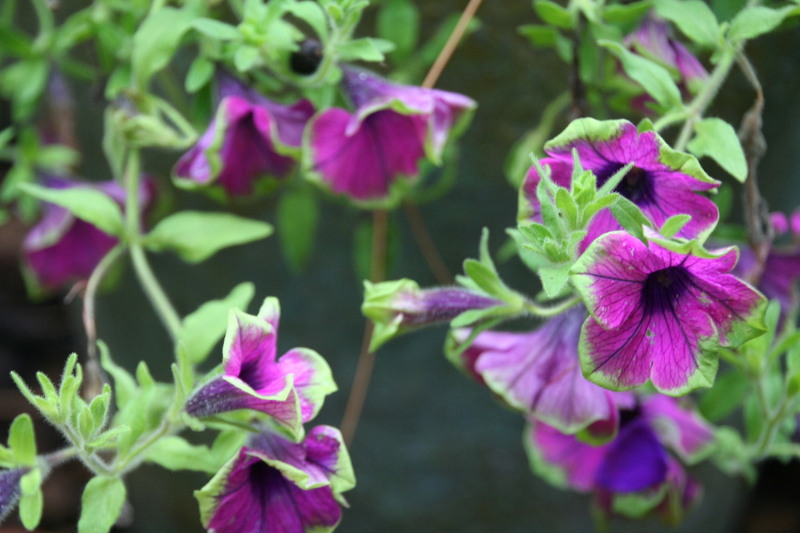 Last summer, I trialed several of the Supertunia® petunias with great success welcoming butterflies to my garden -- Supertunia® Really Red, and of course, Supertunia® Pretty Much Picasso®, pretty much rocks my world. For the hummingbirds, I plant a variety of trumpet-shaped flowers, since hummingbirds don’t land to sip, but rather hover. So you can imagine how well suited Supertunia® petunias are. If a hummingbird could talk, he would be saying, “Hola chica” to Senorita Rosalita® Cleome which offers perfect, petite flowers for a fast flying bird. Cannas are also one of my go-to plants for the hummers as well. I’ve got my sights on Toucan® Dark Orange, knowing it will make the perfect addition to my Raleigh, NC habitat. A clean, reliable water source is a key part to creating a wildlife habitat. Water is needed for drinking and bathing. Locating the water source within an easy view also makes it entertaining for the homeowner. Providing water can be as simple as adding a birdbath. Give multiple locations at varying heights to attract a variety of wildlife. It is important to provide water year-round, even in the winter and, of course, during times of drought. Wildlife needs cover for protection against the elements and predators. Having a place to escape the threat of pending danger attracts more to the garden. A variety of plant life ranging in size, height and density with trees, shrubs, perennials, annuals, and ornamental grasses will increase your chances of attracting more kinds of wildlife. The cover provided also gives your wildlife a safe place for reproduction and nurturing wildlife young. In a backyard, dense shrubbery or birdhouses provide safe areas for birds to nest. Different animals have different needs, including certain wildlife requiring water to raise their young such as salamanders, frogs, toads, and dragonflies. Sustainable gardening practices will also benefit your wildlife habitat such as controlling invasive species, eliminating or reducing the use of pesticides, use of mulch and reducing lawn size. So if you’re hot this summer, embrace the heat and have a little fun. 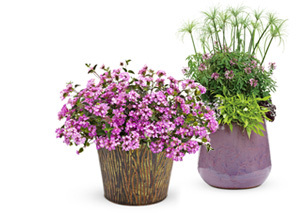 Plant to attract the hummingbirds and the butterflies, and you’ll be singing a different tune. This article was written and photographs taken by Helen Yoest, Owner of Gardening with Confidence. She is a sustainable and wildlife gardener who lives in Raleigh, North Carolina. She is a writer whose work has appeared in Better Homes & Gardens, Country Gardens, Fine Gardening and many more well-known publications.